A few things I learned (or re-learned) this year. Expressing my artistic self through the way I dress became very important to me this year. I want my inside to match my outside. After many years of playing with everyone from hippie to goth, I settled on a look that feels right to me. And it's funny how big a difference something that seems superficial can make when you realize that how you dress yourself every day really does make big impact on how you feel. 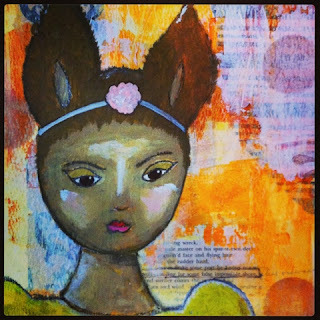 Artist Kelly Rae Roberts describes it as wearing your joy, and that is exactly how it feels to me. 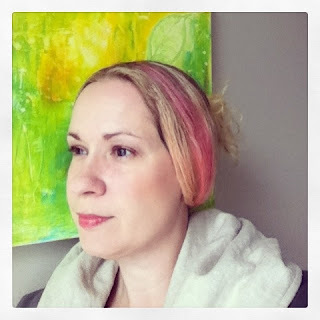 I started adding pink streaks to my hair and I love it! Again, a little thing that was causing me a big frustration. After years of looking for just the right day timer I realized that the best one for me is a blank book. I keep all my appointments in my iPhone, and use a blank notebook to keep track of everything else. That way I don't have to keep my scattered, rambling lists contained in little boxes. I keep weekly to-do lists, grocery lists, current project lists, blog ideas, favourite quotes and whatever else is in my brain, and it works for me. After 6 years of being a full time stay at home mom, I put the little one in daycare part time this fall and got to re-discover myself. I learned that I am much happier when I get some me time. 4. I figured out a bit about my artistic process. I learned that I can balance having one main focus with experimenting in new styles and techniques, and that actually this is a really productive way for me to work. 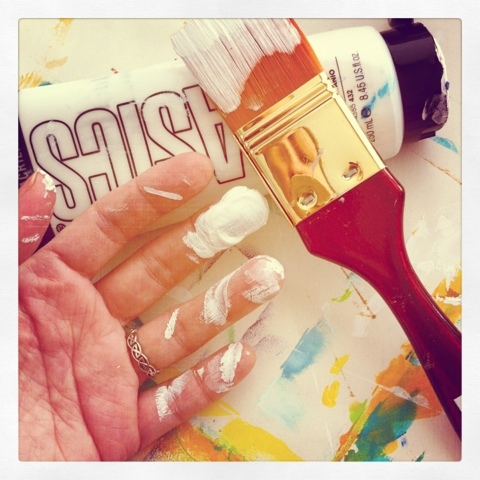 I need to have a mix of art "work" with art "play". 5. I realized that I need a creative community. Attending my first art retreat opened up a whole new world to me. I met an amazing group of soul sisters and found a place where everyone is weird like me. From that experience I made a commitment to myself to hang out with other artists as often as I can, and that has been a really important part of my creative journey. 6. I made friends with fear. I have found this year that whenever the thought of doing something makes me feel terrified, that's a sign that I need to do it. Whether it's sending in an application or writing a book, that fear says to me: here is your path. Be brave enough to follow it. 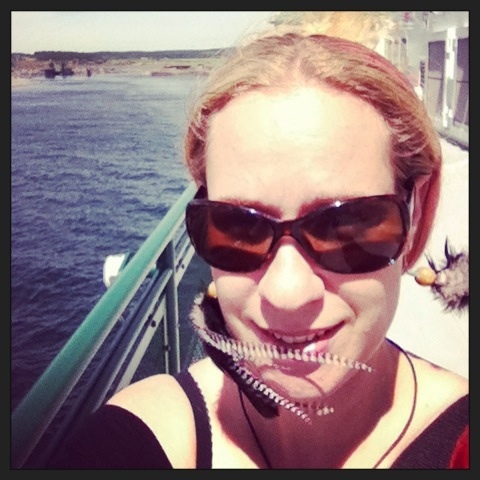 On the ferry to Sugar & Spice art retreat, so happy! 7. 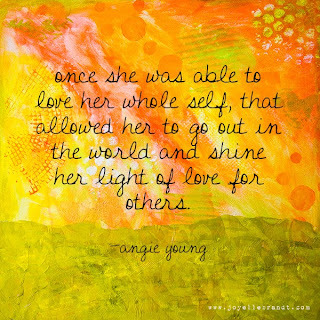 I decided to let go of body shame. I got tired of making my body the enemy, so I am learning how to be friends with it instead. I try to be kind to it, to appreciate it, and to not demean it. It's a processor for sure, but it's getting easier every day. 8. Art really does heal. 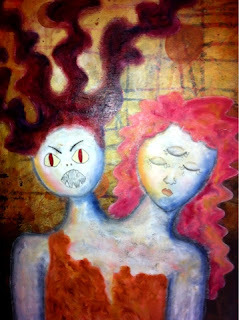 While struggling with post-partum depression I worked on a painting of a two-headed monster. That painting felt like an exorcism. By the time I finished it, I had healed a broken part of myself. 9. I realized how pervasive the "never enough" soundtrack is in my head. 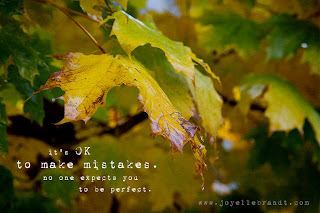 I signed up for Brene Brown's online class based on The Gifts of Imperfection thinking "oh that sounds interesting." It could not have come at a more perfect time for me. I am practicing radical self acceptance every day as I work on letting go of perfectionism. 10. I re-realized that I need a simple life. When things get crazy, I have a tendency to go into busy-ness overdrive as a coping mechanism. And then even when the stress has passed, I get stuck there. I'm trying (again) to slow down, and make room for spaciousness in my daily life. So that's my 2013. What did you learn this year? I'm reading "Daring Greatly" right now. Sometimes it feels as though Brene Brown is writing directly to me. Amazing. That's how I felt too. And I find it really comforting to discover just how many other people experience this. It's kind of reassuring.